I am someone who can't read comics month to month anymore... 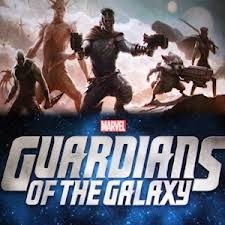 I can't bear to wait four weeks to continue a story, and 22 pages of an issue just don't satisfy me. 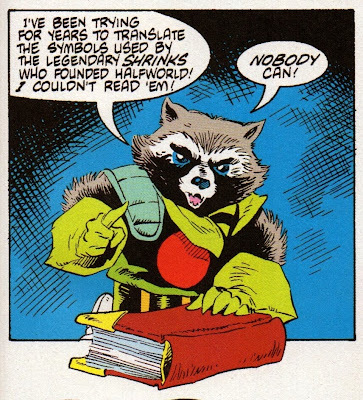 So I usually let storylines build up and then read collected editions to get caught back up. I also like to back and read the classics that laid the groundwork for some of the stories being told today. So recently I decided to revisit a mini series from the golden era of comics... well, the golden era to me anyway... 1985. 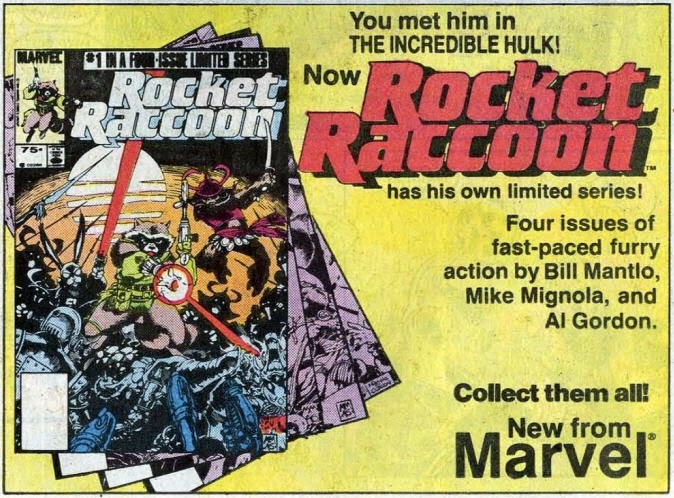 It is the Rocket Raccoon mini series, published in 1985 and introducing the character of Rocket to a wide spread audience in his own book for the first time. 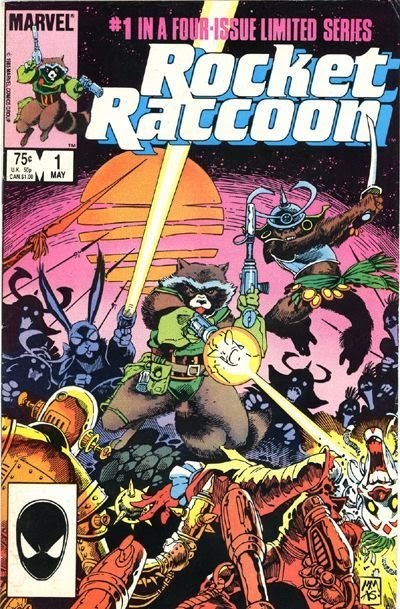 The series was written by Bill Mantlo, and the art comes courtesy of a young Mike Mignola (pencils) and Al Gordon (inks). I must have read this as a kid as the story seemed familiar to me, but I honestly can't remember... and boy does that make me sad! This is such a great series, for a variety of reasons. 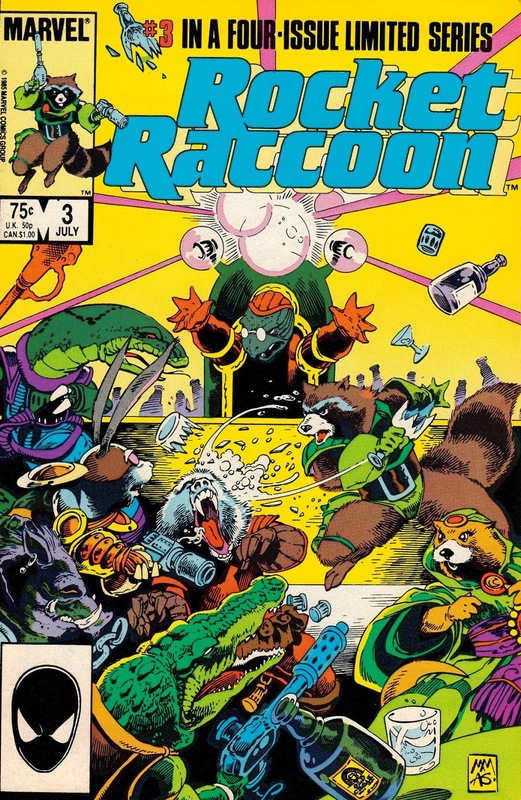 The story revolves around Rocket Raccoon and his group of anthropomorphic (talking) animal friends, and how they act as a type of super hero team on Halfworld in the Keystone Quadrant of Outer Space. Two evil toy makers (it sounds stupid, but is really genius) are locked in a corporate struggle to control the making of the toy robots that entertain the crazy people who occupy Halfworld. But one of these toy makers, a mole by the name of Judson Jakes and his accomplice, the evil genius turtle is out to take over the whole Keystone Quadrant. And to do so he needs to find and decode Gideon's Bible, an ancient book that was written by a long lost race of people (probably humans who visited Halfworld) and is unintelligible to the intelligent animal population. Apparently the book contains secrets that will help whoever deciphers it become a supreme leader. Rocky tries to keep the book safe, and out of the hands of the murderous Jakes. There are two things that make these books great. First off, the art on the covers and interiors are just amazing. I love Mignola's style, but this is his early stuff so it varies a bit from the prototypical style we are used to seeing from him on Hellboy and other projects he worked in the past. The second thing is the cool animal tales. I dig these kind of stories. One of my favorite comic books ever is Captain Carrot and the Amazing Zoo Crew,which was published around the same time by DC Comics and tells a similar story. 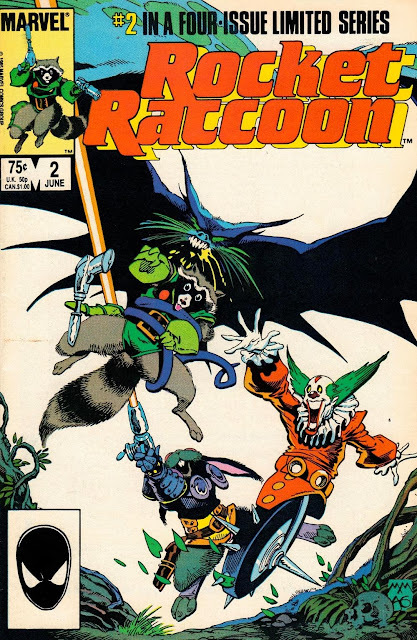 These books are fun, and a change of pace from super hero books that were the majority of the landscape at this time. Isn't comics being fun a big part of reading them in the first place? Gimme the book when you're done. I wanna read! The Gideon's Bible bit is a reference/"homage" to the Beatles' tune "Rocky Raccoon". Fun! T, the whole character is an homage to the Beatles song. He was originally named Rocky Raccoon, later changed to rocket. Eve his girl is named Lila (like Lil in the song) and his best friend is a Walrus (coo coo kachu!). Many other things that reference back to teh Beatles! I will give it to you next time I see ya! Fantastic mini. 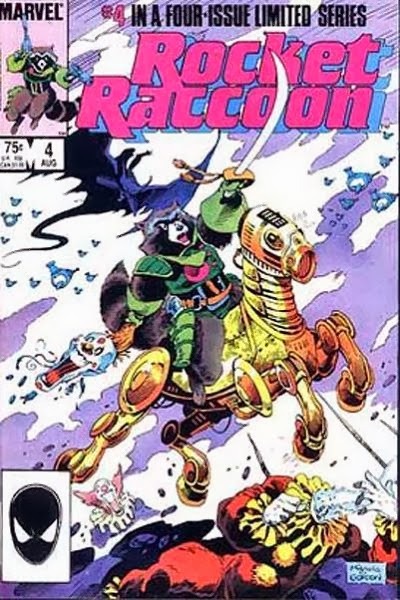 I so remember putting it on my pull list during that golden age of the mini-series that happened just when comic centered stores started opening up. 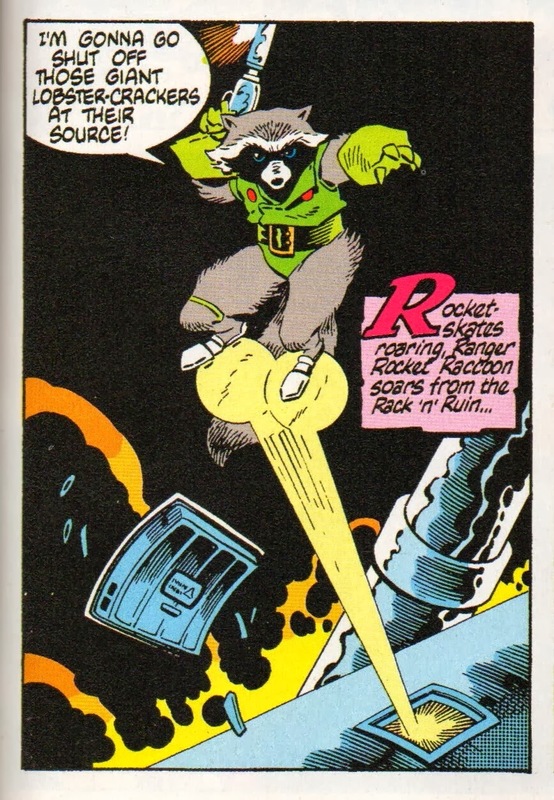 I am so glad that Rocket has stayed around long enough to get his chances in the movies. He will be a huge hit with the kids.